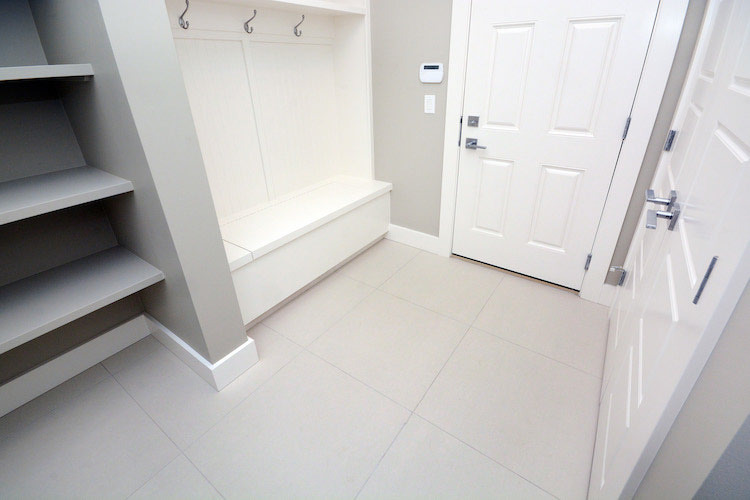 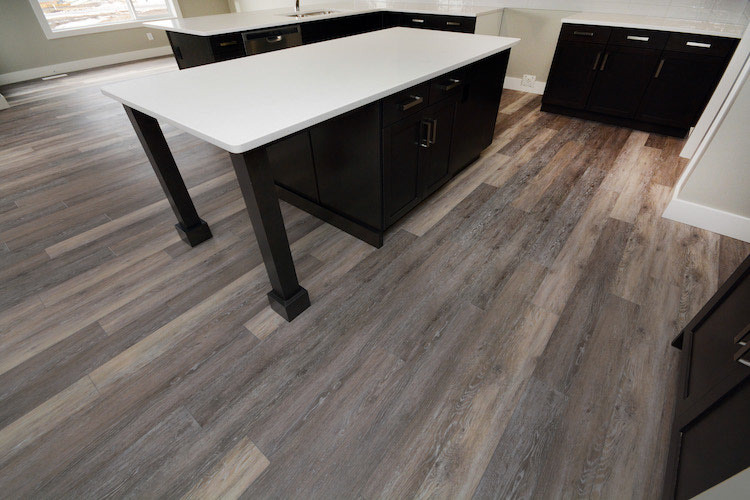 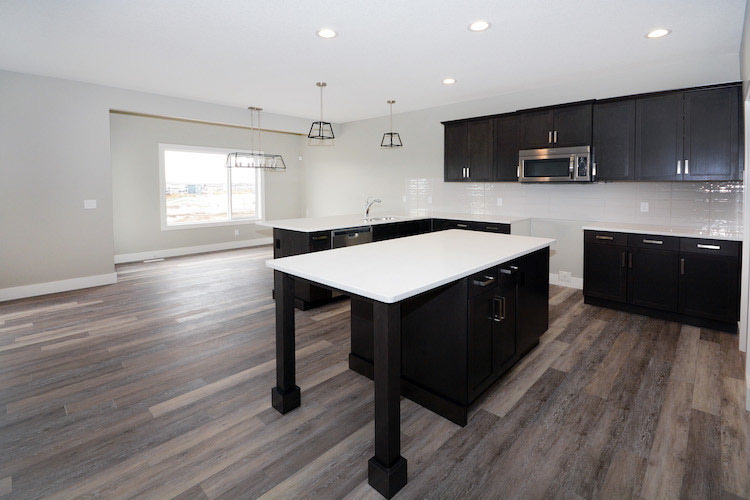 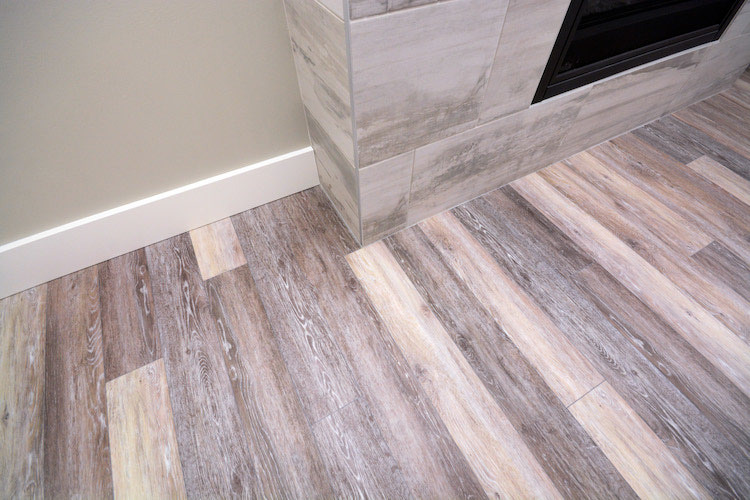 Everything from carpet, vinyl plank to ceramic tile has been installed in this house by Action Flooring. 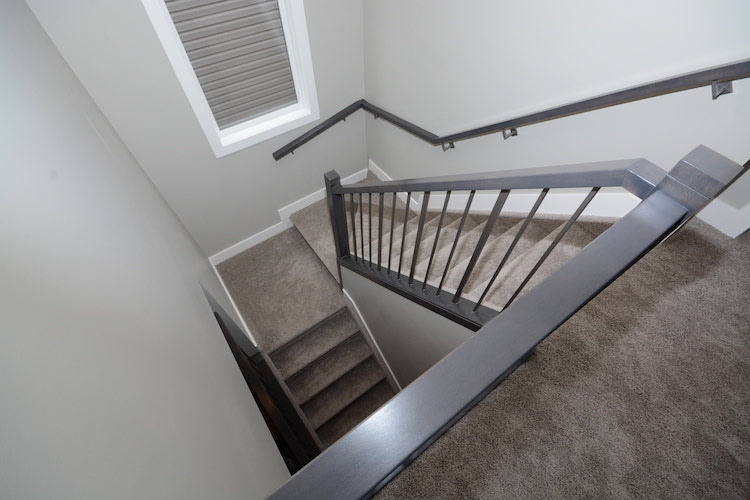 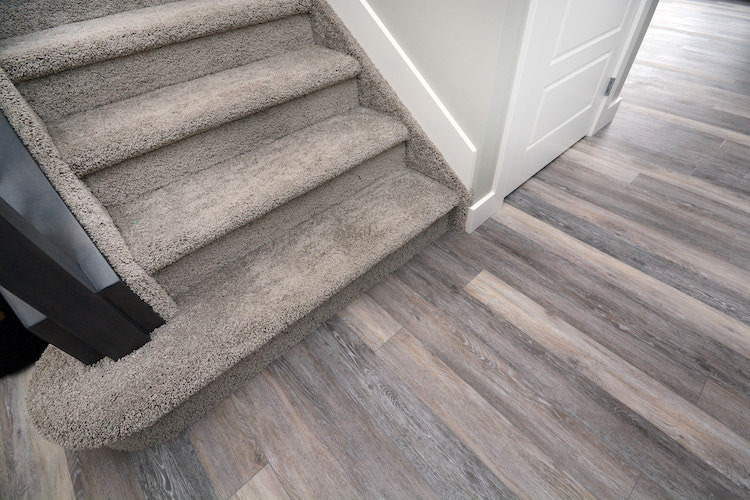 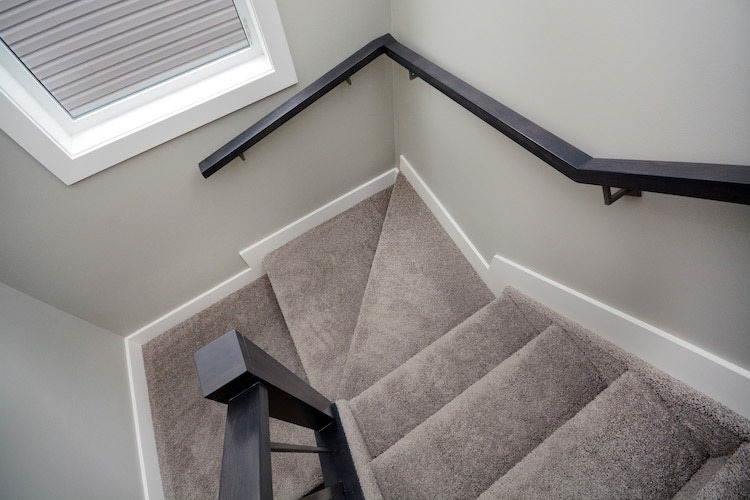 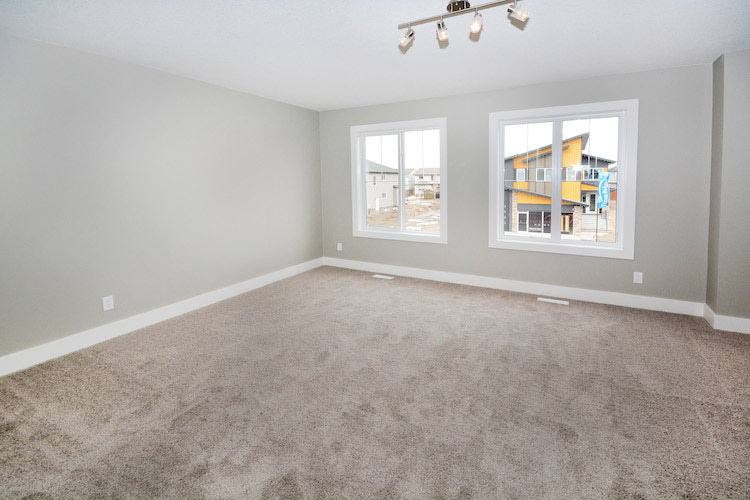 Our very popular stock carpet Showcase Silver Charms was installed in the bedrooms, bonus room, upper hall, and stairs. 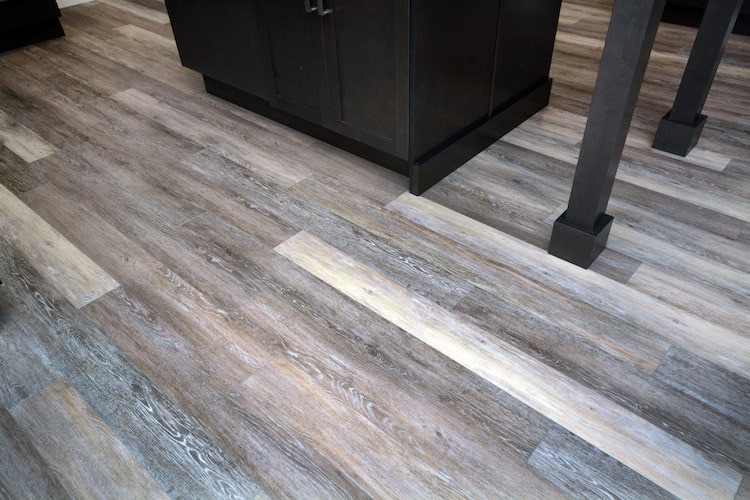 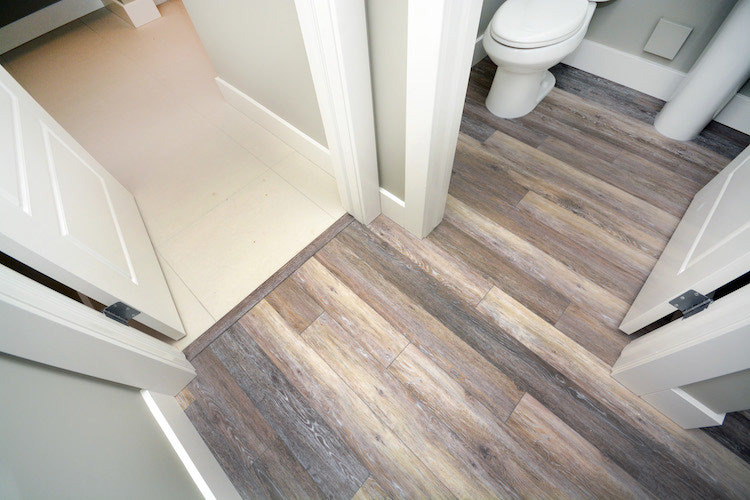 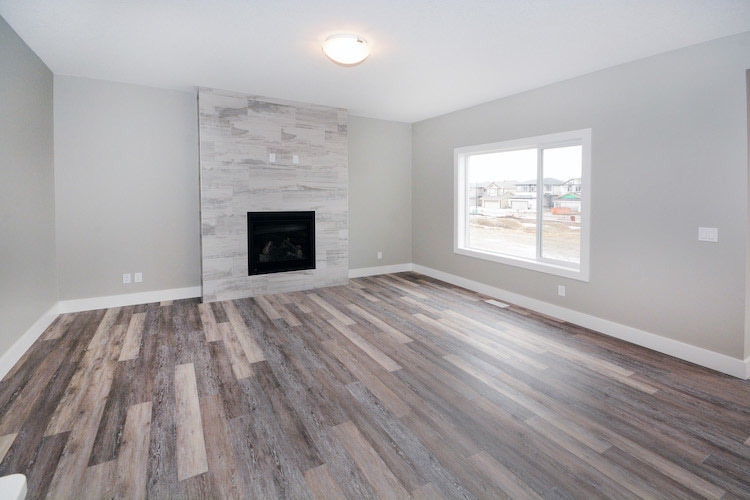 As well our stocked vinyl plank Everwood Beach House was used in many of the rooms including the kitchen and great room. 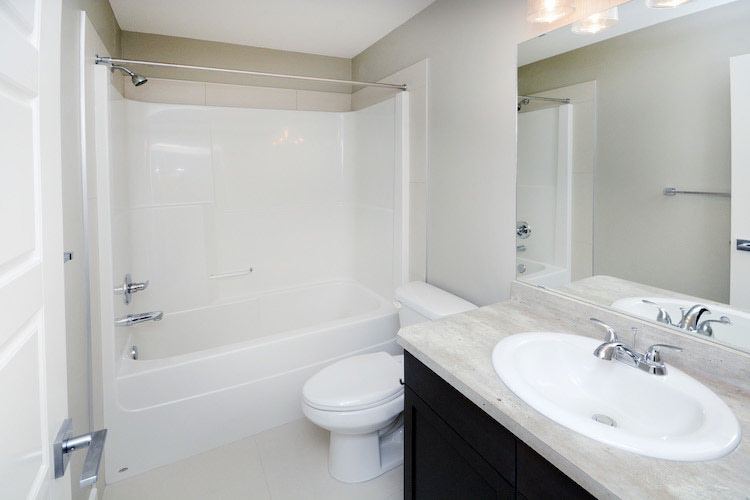 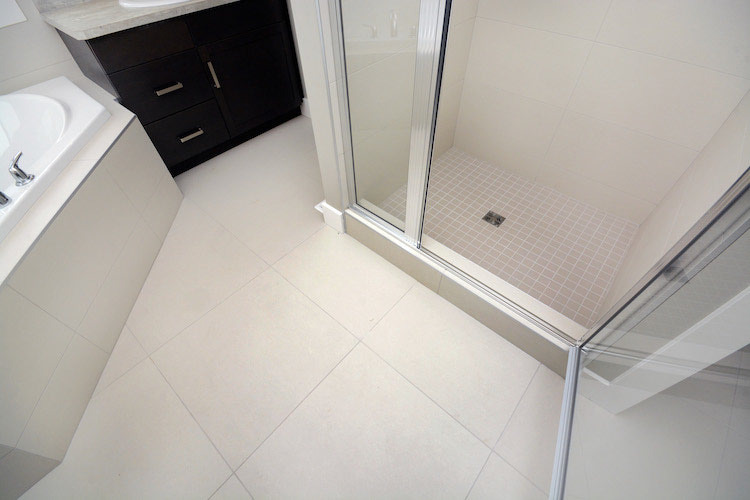 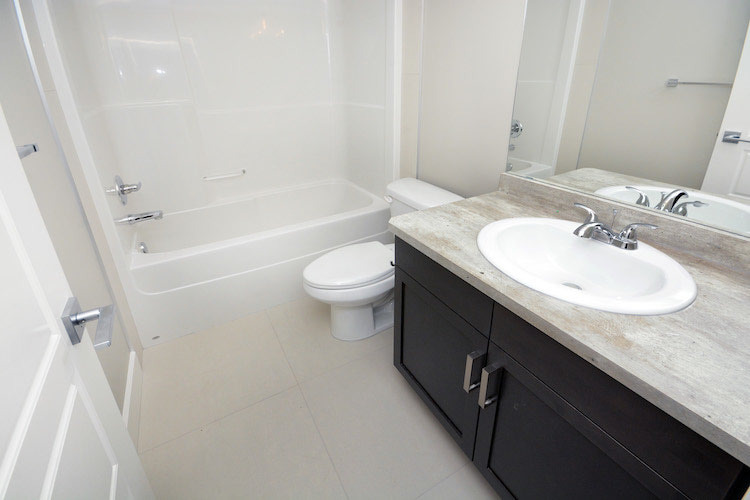 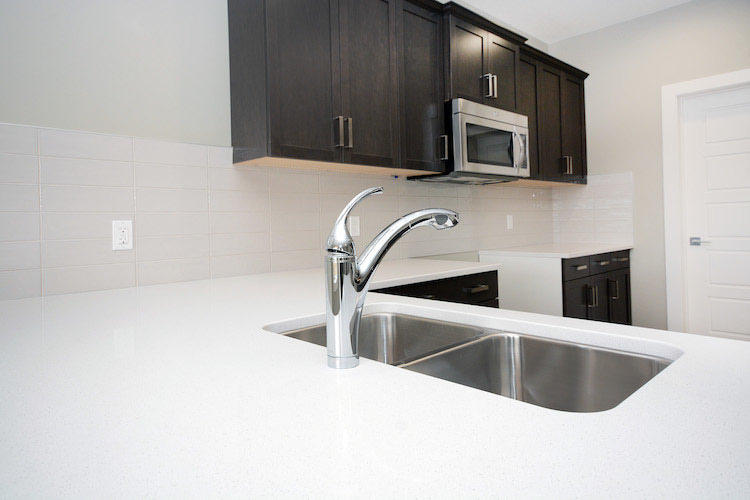 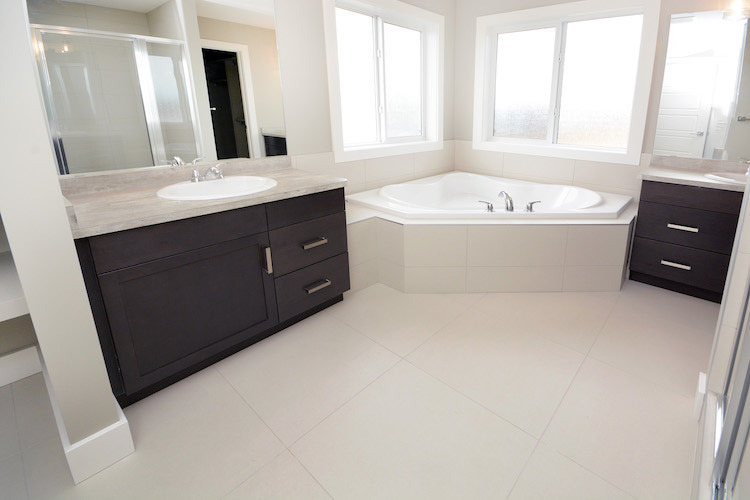 On all the floors and shower walls in the ensuite and main bathroom the Regal series Matte White ceramic tile was installed and using a 2x2 Grey mosaic to add a little highlights. 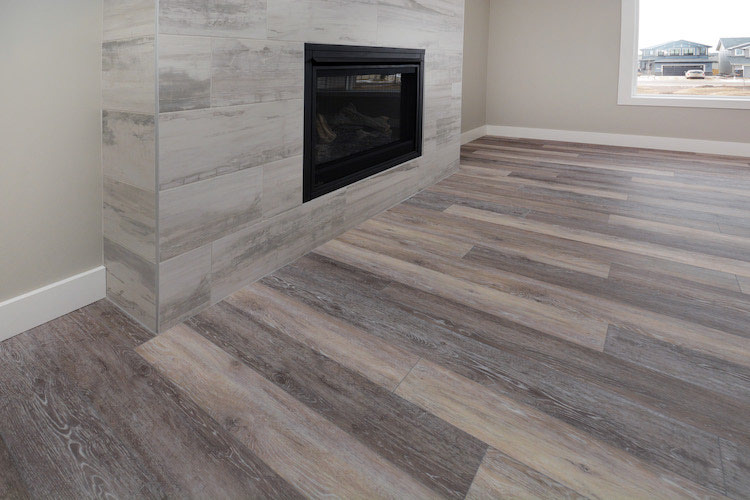 And the striking fireplace tile really compliments the vinyl plank in the main room: ceramic tile that is beautifully named Petrified Wood.